As a professional supplier of shaft cores, we can make use of over 800 different standard shaft cores from our product range. 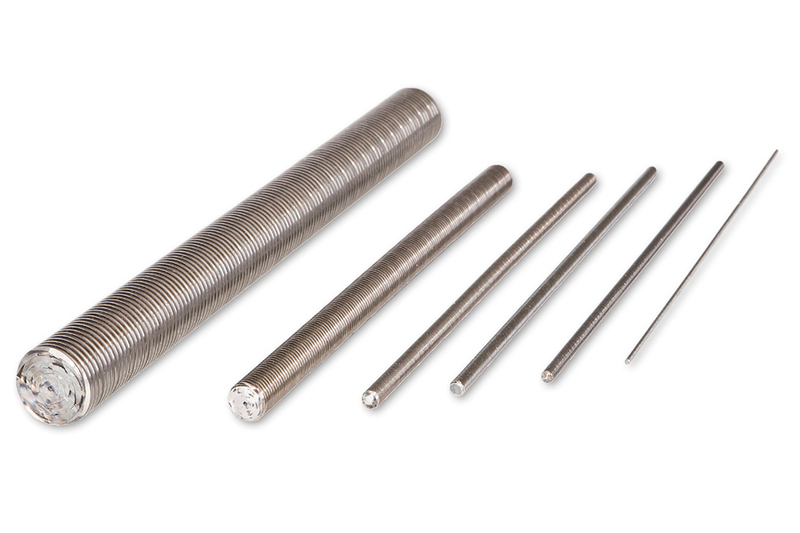 For shaft cores that are perfectly tailored to your specific field of application, we are able to supply you with various types and various diameters. And, if no suitable shaft core is found for your application, we will of course be happy to develop new shaft cores at short notice with exactly the tailor-made properties you need. For low-speed applications that require high stiffness, e.g. shifter shafts, we recommend our type-BF shaft core. This type of shaft core is particularly suited for switching and remote control shafts to operate switches, gears, valves, Wellenseelen Type BF – torsionsarm blinds and other devices. It can be deployed in both directions of rotation. This shaft core is wound using a special production process and, as a result of its special construction features, has an excellent torsional stiffness. This drive element can also be ground prior to supply to ensure low-noise application. Properties: low-torsion, transmits high torques, shock-free direct load transmission, for manual operation or low speeds up to 150 rpm. For tasks that place high demands on the shaft’s torque transmission and robustness, we use our type-AH shaft core. We recommend this type of shaft core for use where there are demands for high performance. In comparison to the AW type, it is much more robust,Wellenseelen Type AH – hart has a higher torsional stiffness and can transmit a higher torque. It is used in general mechanical engineering for grinding, brushing, drilling, driving; in the building industry for concrete vibrators; as a drive shaft with tool holders; in devices and systems; in brush cutters and string trimmers; for chair and table adjustments; in vehicles for seat, headlamp and window adjustments as well as air conditioning regulation. Where special flexibility or higher speeds are called for, the type-AW shaft core is the perfect choice. Our AW type shaft core is very soft and flexible. It is particularly suited for use in higher speed ranges up to 25,000 rpm. The complete shaft, with protective tube and appropriate handle, is ideal for all toolmakers, mould makers and engravers whether working in the jewellery trade or dental industry. It can be recommend for use where the work requires a high degree of manoeuvrability with a small bending radius and high speeds, e.g. as a drive shaft in a delta sander. In addition, it represents a comparatively inexpensive alternative to conventional cardan shafts. For especially high speeds, our product range includes the type-AWH shaft core. 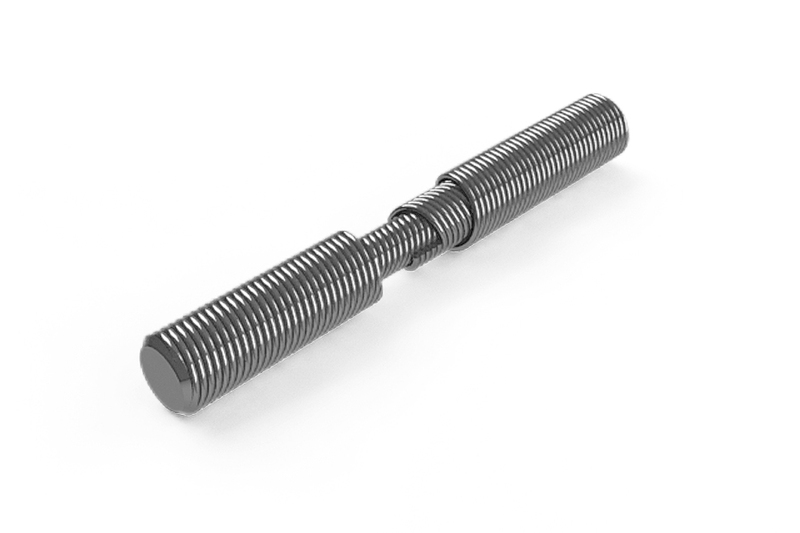 This type of shaft core is manufactured by hand being particularly flexible and low-impact and is, therefore, particularly suited for applications in which uninterrupted high speeds occur and/or extremely smooth running is required. The max. 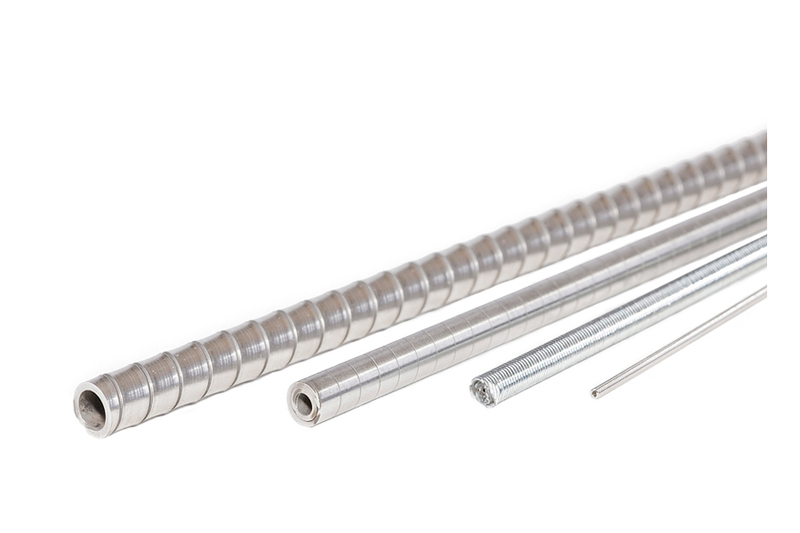 production length is 12 m.
Our hollow shafts and helices are primarily designed for use in medical applications, but also have their place in engineering. Zhe hollow shaft is a speciality of our company. 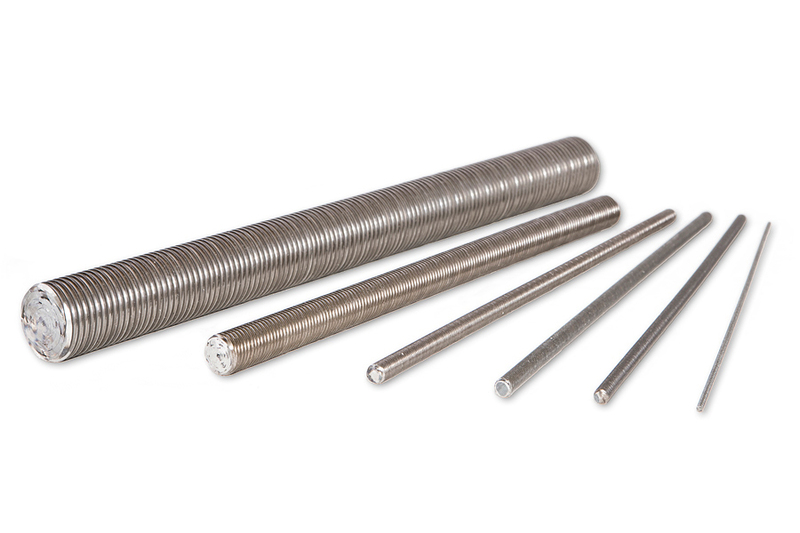 These single and multilayer shaft cores, normally made of stainless steel, are mainly used in surgery Hohlwellenas intramedullary reamers, in highly sterile pharmaceutical plants, in nuclear power plants and in robots. Round or flat wire is used in the production process. The multilayer hollow shaft is commonly referred to as a drilling shaft because, despite its high level of flexibility, it can be used to transmit high torques while maintaining its inner cavity. In the case of the flat wire version, the surface can be ground smooth for sterilisation and handling purposes. Smoothened surfaces are being increasingly deployed in non-medical sectors for reasons of noise reduction. We provide you with detailed information on our standard shaft cores in our downloads area. If you have further questions about our products please feel free to contact us.